Water treatment plants can use water filters to remove all sort of impurities including fine particles, smaller flocks, bacteria, protozoan cysts and even toxic chemicals like pesticides, nitrate, arsenic etc. Water filtration systems usually used at water and wastewater treatment plants are slow and rapid sand filtration system; membrane filtration systems (microfiltration, ultra-filtration, reverse osmosis, nano filtration) and different type of sheet, disk, screen and cloth filters. Sand filtration systems are built by layering different types of sands of different grain size and specific gravity. 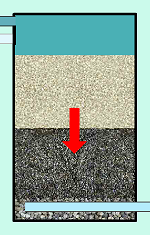 Water passes through the filters and particulate contaminants get trapped between the sand grains. Water treatment membranes are thin material barrier that can separate contaminants based on their size or charge. 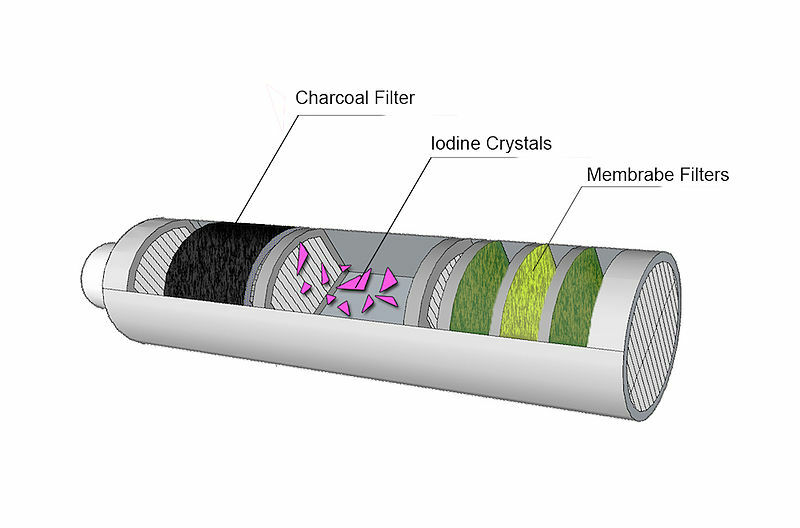 Membrane filtration can be divided into two groups - micro and ultra filtration in one group and nano filtration and reverse osmosis in another group. When particulate contaminants like flocks, bacteria, viruses or other microorganisms have to be removed, micro or ultra filtrations are used. But when Salts and toxic chemicals have to be removed, nano filtration and reverse osmosis are applied. Water passes through the membrane but contaminants get separated out. Activated carbon filtration is another common filtration system used for water treatment. It is commonly used for removing organic contaminants that are responsible for taste, odor and color. Activated carbon's adsorptive properties are used to remove organics. Carbon particles can also remove dissolve substances like hydrogen sulphide; heavy metals such as lead, mercury and copper; and residual disinfectants like chlorine and chloramines. These types of filtration systems usually treat water for the entire house. Point-of-Entry systems are usually installed at the main water supply line to treat all the incoming water before it goes to any individual supply line like kitchen, laundry, bathrooms etc. That is why they are also known as the whole house water filtration system. These types of systems usually include a variety of filter cartridges and media beds to remove multiple types of impurities and contaminants. These systems are usually larger in size and have higher treatment capacity. The household system needs regular maintenance to operate effectively. Operator manual should be followed and filter cartridges should be changed regularly. A personal water bottle with built in water filter. These types of bottle may have a cap and a straw and designated for individual use. A pitcher or container with built in water filter. Dirty water passes through the filter by gravity to a separate compartment from where clean water can be poured or drawn. Straw type water filter when a membrane type filter is attached inside a pipe and water can be drink directly by putting the straw in the unclean water. 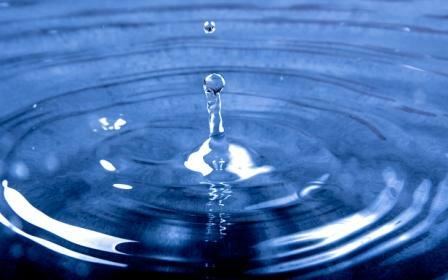 Know More about Water Filtration System Here.